As anyone who works in an office would know, creating different outfits every day can prove to be tricky. Remaining stylish but comfortable is no easy venture, especially when you have plans after. Enter: street style. 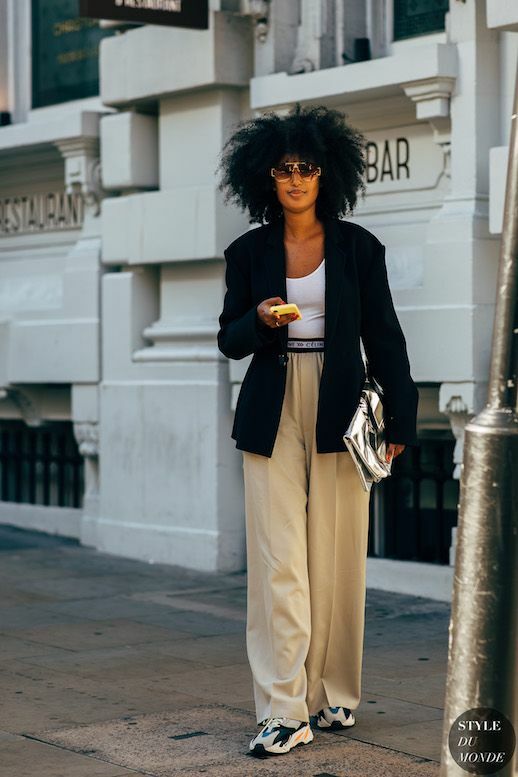 Julia Sarr-Jamois work the perfect work-to-play ensemble. Pair a blazer with a cool tank, or for the cold, a chunky sweater. Add pleated trousers and a trendy sneaker, and you're ready for typing or tapas.